Samsung has officially launched its new mid-range smartphone Galaxy Pocket Neo in India and now available at online stores. It was announced in April month and spotted on Samsung India official site last month. The Phone comes with a 3-inch capacitive touch screen with 320x230 pixels resolution. It runs on Android 4.1 Jelly Bean operating system and powered by a 850 MHz processor with 512 MB RAM. It has 4 GB of internal memory and expandable memory up to 32 GB with using microSD cards. The phone comes with a 2 MP rear camera and there is no front camera. Galaxy Pocket Neo comes with Dual Sim Always ON feature that allows receiving calls from Second SIM while you talking on First SIM. It packs with 1200 mAh battery and it has 3G, Wi-Fi, Bluetooth and GPS for the connectivity options. 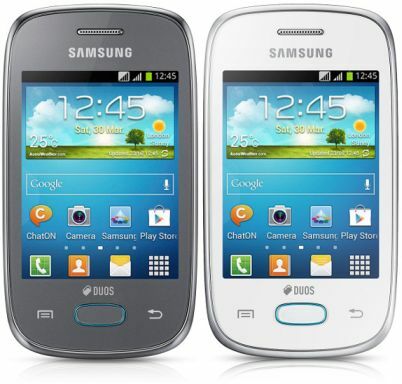 Samsung Galaxy Pocket Neo comes in Blue, White and Grey colors. It is priced at Rs. 6990 and available on online stores and retail markets.